... And I can't wait to photograph the next one. I drove 900 miles, one way, to watch a 150-second event in the sky. I would do it again tomorrow if I could. That "tomorrow" is in 2024. I will be there. For this solar eclipse, I had the distinct advantage of having relatives who live directly in the path ... wait, why don't they name eclipses? ... with a dreamy and roomy home in eastern Idaho. I just had to get there and point my camera to the north and east. But I shouldn't have photographed it. I did not have the right lens. Mine was only a 200mm zoom; I needed a 400mm or 600mm zoom. I did, however, purchase the special “White Light Solar Filter” for about $140 for this one-time event. Will I be able to find that little cardboard box in April 2024? There were three of us shooting this eclipse; I should have simply left it to the other two so I could fully enjoy the craziness. I photograph a lot of things, so there is no way I was NOT going to photograph this solar eclipse. I’ve seen a lunar eclipse or two, we all have. And while I didn’t know what to expect from this total solar eclipse event, I struggle to describe it now even after witnessing it. Like I said at the start, the 900-mile road trip to and from was worth it – and we did the drive non-stop on the way home. I even listened to a podcast by an experienced eclipse photographer who said "don't photograph this eclipse if it's the first solar eclipse you've seen." Did I listen? Instead I struggled to find focus and tape the lens in place to keep that focus. I messed with ISO settings. 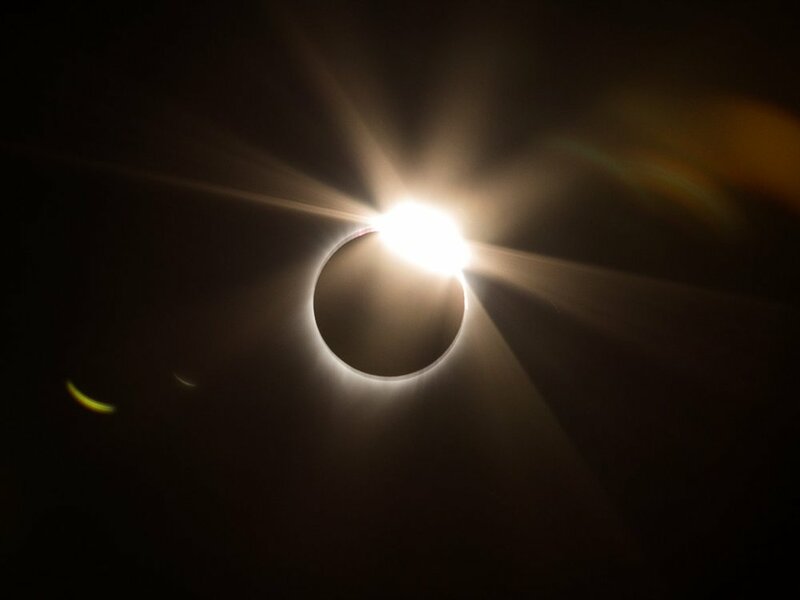 And when "totality" hit and our small group of family erupted with oohs and aaahs, I was carefully packing away my over-priced solar filter and re-adjusting to get that famed "wedding ring" photo - check below to see if I got it. Yes, I would - I will - do it again. Check out a few photos of the event captured with my Canon 6D. So, Cleveland, we’ll see you in 2024. Check out a few shots. I hope I can remember the better camera settings in seven years.